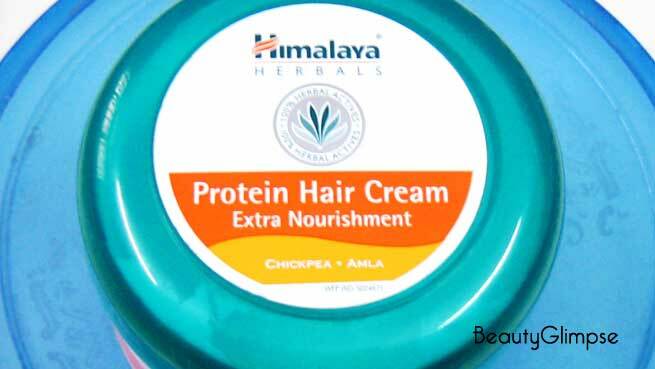 Himalaya Herbals Protein Hair Cream Extra nourishment is ‘a natural hair cream full of the goodness of protein‘. It is enriched with natural proteins that provide necessary nourishment to the root and the shaft of the hair, thereby protecting it from potential damages. It contains 100% herbal actives including chickpea and amla, which are meant to nourish the hair, keep it healthy, and promote its growth. The specially formulated cream also comes with natural ingredients that leave your hair soft and shiny. Active Ingredients: Amalaki (Emblica Officinalis) Fr. 6 mg., Chanaka (Cicer Arietinum) Sd. 6 mg., Godhuma (Triticum Sativum), Wheat Gem 4 mg., Bhringaraja (Eclipta Prostrata) Wh. Pl. 4 mg. Note: Natural herbal formulations tend to change color over time. However, the product efficacy remains unchanged. 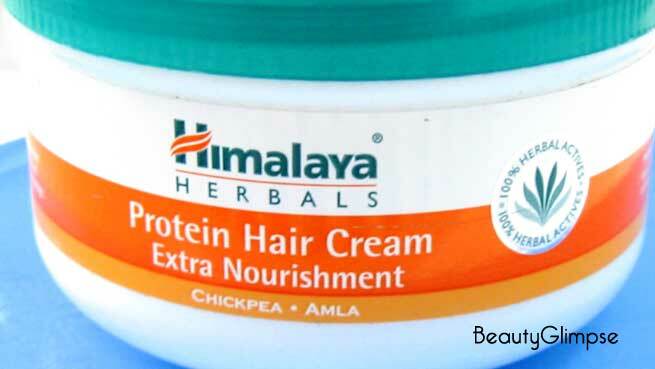 Amla and chickpea are two main active ingredients used in Himalaya Herbals Protein Hair Cream. Amla works as a natural antioxidant-rich hair tonic for the scalp and the hair, which strengthens hair follicles, prevents dandruff, conditions hair shafts, and promotes hair growth. On the other hand, protein-packed chickpea provides nourishment to the hair, makes it strong and healthy, and prevents damages. 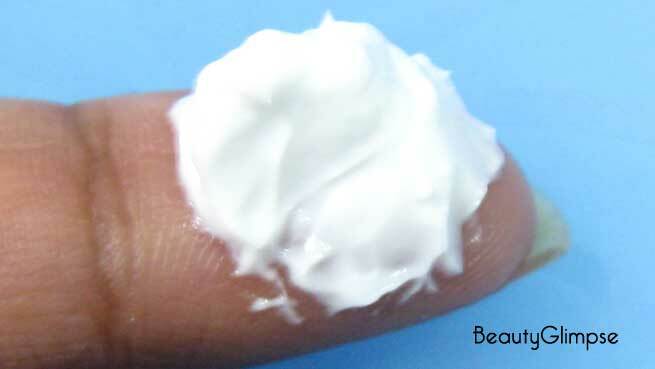 Apply sufficient amount of the cream from the root to the tip of your hair. Massage the scalp gently by using your fingers and spread the cream evenly. For better results, use it daily before or after hair wash.
Rs. 75 for 100 ml. Himalaya Herbals Protein Hair Cream Extra Nourishment comes in a very sturdy plastic tub. It is basically a white jar with orange designs and a green screw cap. Once you open the cap, you find a silver foil covering the opening of the tub. There is also a very thin plastic sheet right under the silver foil. Both of these cover the content of the tub perfectly (I’ve removed both of these coverings, so they are not visible in the images). The entire packaging is really compact and leakage-proof. However, the tub packaging is very unhygienic as we need to dip our fingers into the cream each time. It should be considered as its biggest drawback. The product is milky white in color. It has a thick creamy consistency with a smooth and slightly fluffy texture. The mild herbal fragrance of the cream is really pleasant and should not bother sensitive noses. The consistency of the cream makes it easy to spread or convenient to apply. It just needs to be taken out of the jar and rubbed onto the scalp gently. 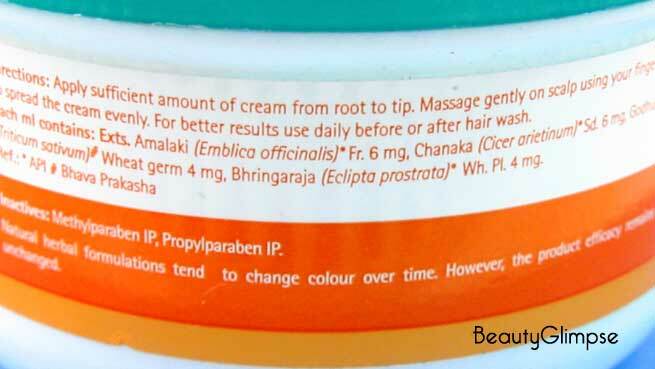 In other words, you need to massage your scalp with this cream and also apply it from the root to the tip of your hair. 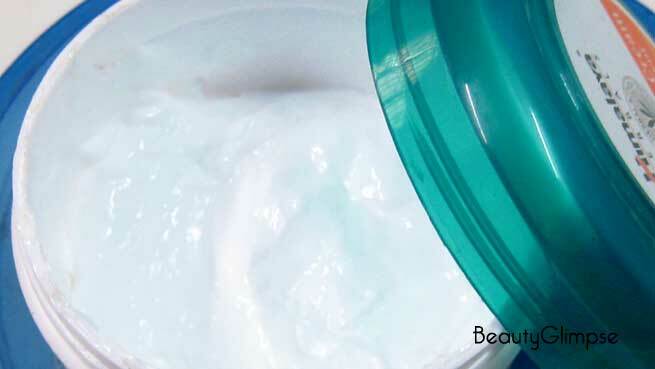 The white cream becomes transparent in color and gets absorbed by the scalp as well as hair strands during application. I use this hair cream 2 to 3 times every week at least 1 to 2 hours before washing my hair. I neither oil my hair nor dampen it with water prior to applying this cream. I simply use it on my dry scalp and spread it all through my hair. I’ve been following this routine for last 2 months and trust me, I’m really happy with the results. My hair turned softer and smoother on the first application itself. It actually nourishes the tresses and makes them healthier. Massaging it onto the scalp also helps in curing dryness, flakiness, and itchiness of the scalp. As a result, my dandruff has been reduced significantly. It gives a nice soothing effect as soon as applied to the scalp. But the best thing about this product is that it moisturizes hair without causing greasiness or stickiness. Those who hate to use hair oil can go for this extra nourishment without any hesitation. However, using this cream after washing hair can be a real mess. I tried it one day and ended up with absolutely greasy scalp and completely flat or weighed down hair. It also contains parabens, which are known to be quite harmful to our tresses. Hands can’t be washed with plain water after usage. Oh yes! If you have dry and frizzy hair, it can be a perfect hair cream for you to keep your mane smooth, soft and manageable. If your hair is damaged enough, you should give it a try as it can provide extra nourishment to our hair strands. However, do not use it as a serum after washing your hair. 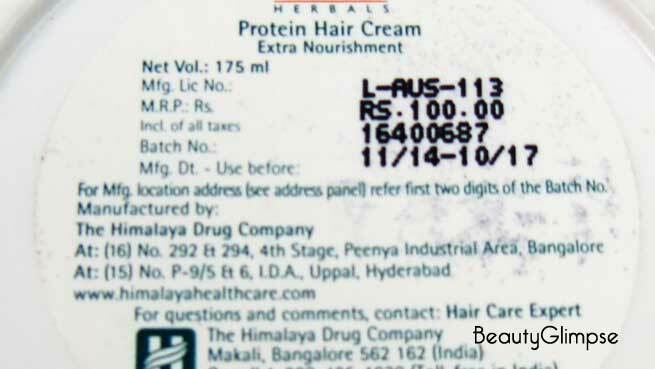 Why Use A Protein Hair Cream? Proteins work as the building blocks for our hair. Keratin protein (derived from keratinocytes) is essential for growing long, strong, and healthy hair. It also impacts the texture, shape, and life of our hair. When our body does not get enough protein internally, we experience dull, damaged, and brittle hair, which even leads to severe hair loss. The topical application of a good protein hair cream can fulfill the protein requirements of our hair shafts, thereby giving us healthy and gorgeous locks.